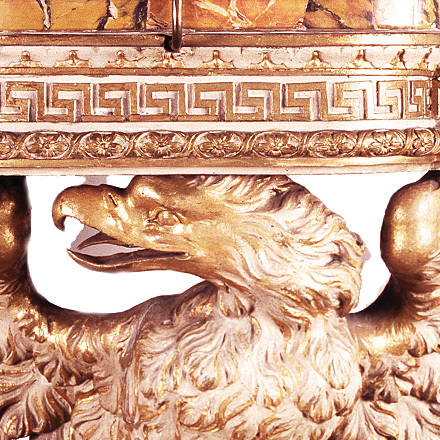 A Mid-18th Century console with veneered marble top on a frieze supported by an eagle with spread wings. 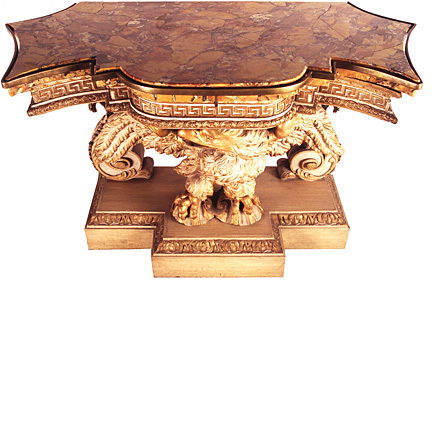 The style of Italian baroque grandeur exemplified by this table was first introduced to English furniture by William Kent. 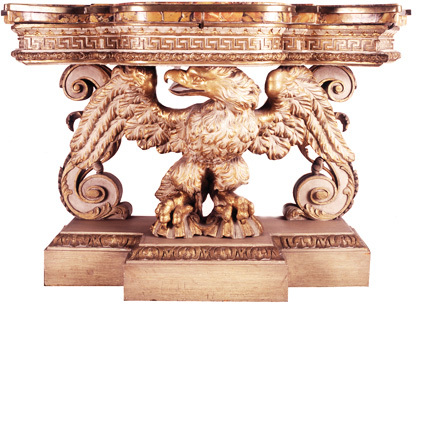 The original pair of consoles comes from the residence of Ditchley Park, just outside of Oxford, England. Built in 1722 the Mansion is historically important, from early connections with Charles II to its use as a weekend retreat for Winston Churchill and members of his War Cabinet during 1940 and 1941. It was tastefully restored by Ronald and Nancy Tree (later Nancy Lancaster of Colefax). 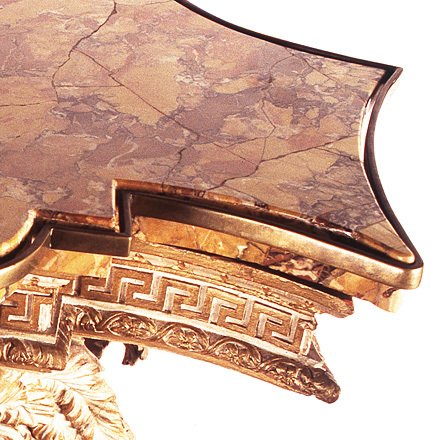 The original consoles are in the Collection of Mr. and Mrs. Gordon Getty of San Francisco.